…but you must book your reservations through any official channel of InterContinental Hotels Group by Friday, February 1, 2019 at 11:59 in the evening Greenwich Mean Time. This offer is only available to members of the IHG Rewards Club frequent guest loyalty program. Membership is free; and if you are not yet a member, you can enroll here at no cost to you. This offer cannot be used in conjunction with any other offer, discount or promotion. 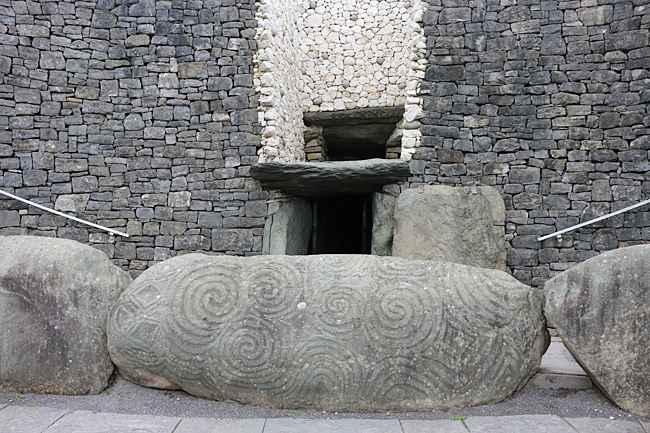 Entrance to inside of the passage mound of Newgrange. Photograph ©2014 by Brian Cohen. This offer may potentially save you money on room rates for this winter and spring — and no text seems to exist which claims that payment is required in advance and that this offer is subject to the usual restrictive terms and conditions. All photograph ©2008 and ©2014 by Brian Cohen. I originally booked Kimpton Fitzroy for April dates with the Fly the Coop rates..this was a cancellable rate. However knowing my dates are fixed, cancelled this booking and used this promotion to secure cheaper rates for my dates. (Have tickets for Hamilton at the Victoria Palace Theatre). This is a pre-paid rate as per terms and conditions above. I can confirm this as my credit card has been charged.